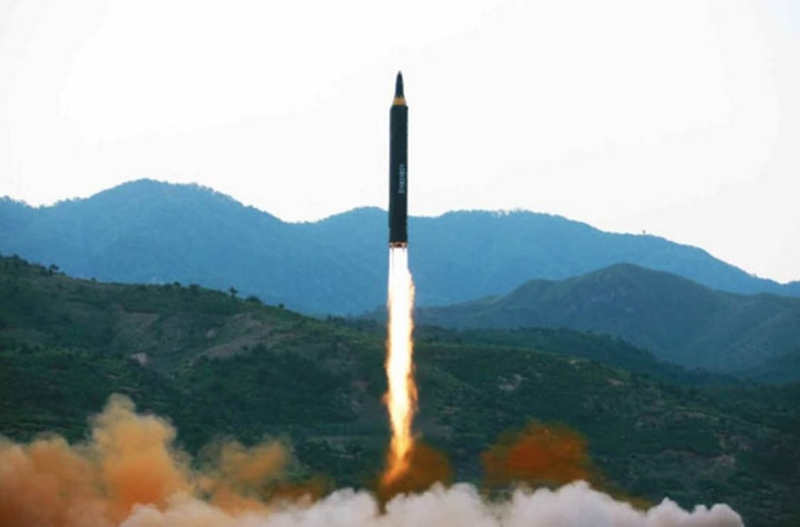 North Korea’s successful test of a missile capable of hitting the United States has dramatically limited the options Washington and Beijing have in reining in Pyongyang’s nuclear weapons program, two leading Chinese security analysts said Thursday. Speaking at the Center for Strategic and International Studies, a Washington, D.C., think tank, Zhu Feng of Nanjing University, declaring himself “a little more pessimistic” than his fellow panelists, said the choices are coming down to the United States intervening militarily and China abandoning the regime of Kim Jong-un in order to put the brakes on North Korea’s nuclear ambitions. The North Koreans “consider nuclear weapons [as essential] to their security,” and Kim uses them to show his countrymen “how admirable he is” to have developed them for the regime’s protection. At this stage, “there is no way they will abandon” their nuclear weapons and the missiles to deliver them. Zhang called for Washington and Beijing to work together to keep this final step from happening, although he held out hope that the United States and North Korea would reach some compromise now. But if a freeze in the nuclear program doesn’t occur, “we must prepare for the worst” and that included Washington, Beijing and Seoul reaching a common accord on how to proceed. Zhu said China “could do a lot more” to stop North Korea’s drive to miniaturize its weapons for delivery on ballistic missiles. But he drew the line at cutting off all trade between the two countries because “it is our leverage” in dealing with Kim’s regime. China and Russia are threatening to veto new sanctions on North Korea for this week’s missile test. On the other hand, Bonnie Glaser of CSIS pointed to a number of smaller banks in north east China that maintain strong financial links with North Korea as being a source of income to keep its weapons of mass destruction afloat. She estimated that between 2009 and 2016 more than $300 million became available to Pyongyang through these banks. At the same time, the regime is skimming off the top wages its workers are receiving working overseas that it is using to support its military as well. Although they deal in currencies other than dollars, she said these banks could be targeted for U.S. sanctions. “Eighty-eight percent of North Korea’s trade is with China,” and that gives China influence with Pyongyang. While agreeing with other panelists that North Korea wants to be internationally recognized as a nuclear power, she added it also does not want China to adopt the role of offering Pyongyang its nuclear umbrella for its protection. “They went to deliver [a nuclear weapon] to the United States” to back up their own claims to be a power to be reckoned with. For the United States and China, “dealing with North Korea is a trip to the land of bad policy options,” David Finkelstein of CNA said. “Sooner or later China is going to have to lean one way or the other” in stopping North Korea’s weapons of mass destruction program.